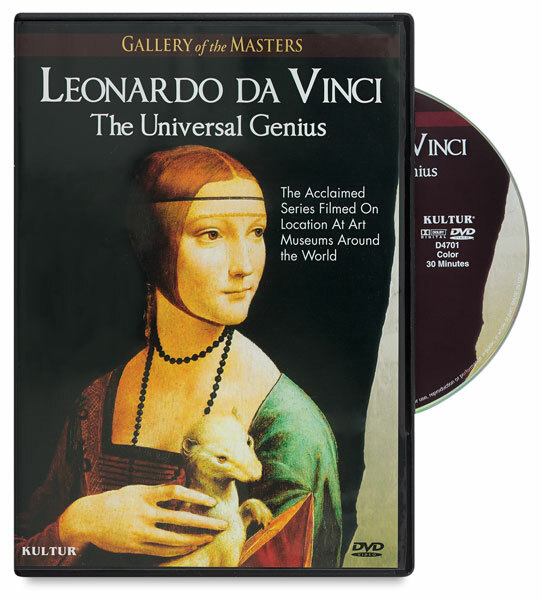 Featuring close-ups of many of Leonardo's masterpieces filmed on location, Leonardo da Vinci: The Universal Genius follows Leonardo's trail from Florence to Milan to Amboise Castle in the Loire, where he served the French King Francis I. In his luggage the painter took with him the Mona Lisa — the picture that was to make him world famous. The man from the Tuscan village of Vinci is regarded as the "universal genius" of the Renaissance, although he only completed a few works. He was an architect and engineer, yet there is not a single building based on his plans. He was a sculptor, yet virtually none of his sculptures exist. And only a few portraits and frescoes testify to the brilliance of the his paintings. Nevertheless, the outstanding quality of his works, and the diversity of his ideas, observations, and fantasies, endow the artist and scientist with universal acclaim to this day.